FRONT BRAKE PADS & DISCS FITTED. 11 SERVICE STAMPS, SERVICED AT PDI, 3772 MILES, 13779 MILES, 24957 MILES, 37975 MILES, 56920 MILES, 72917 MILES, 86945 MILES, 102875 MILES, 111548 MILES & 120719 MILES WITH NEW MOT. LAST OWNER SINCE 2014. PLEASE NOTE: THE TD4 ENGINE IS FITTED WITH A CAM CHAIN SO THERE ARE NO CONCERNS REGARDING CAM BELT CHANGES. 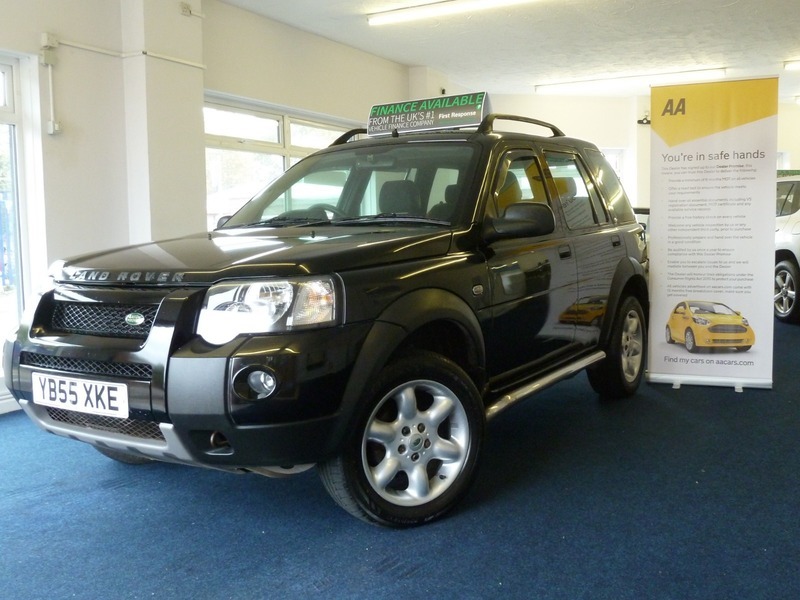 FITTED WITH STAINLESS STEEL SIDE BARS, LAND ROVER MUD FLAPS, TOW-BAR WITH ELECTRICS & WIND DEFLECTORS ON ALL 4 WINDOWS. SUPPLIED WITH ORIGINAL OWNERS BOOK PACK & RETRACTABLE REAR LOAD COVER. FANTASTIC LUXURY, ECONOMICAL, GO ANYWHERE & ULTRA RELIABLE LAND ROVER MOTORING OFFERING AVERAGE 32 MILES PER GALLON & ONLY £315 PER YEAR ROAD TAX OR £27.56 PER MONTH ON DIRECT DEBIT. HUGE SPECIFICATION INCLUDING: HEATED SEATS, PARROT HANDS-FREE PHONE SYSTEM, CD PLAYER, AIR CONDITIONING, FRONT & REAR ELECTRIC WINDOWS, ELECTRIC MIRRORS, ELECTRIC TAILGATE GLASS, HILL DESCENT CONTROL, STEERING WHEEL MOUNTED STEREO CONTROLS, HEIGHT ADJUSTABLE STEERING WHEEL, DRIVER SEAT LUMBER ADJUSTMENT, DRIVER & PASSENGER ARMREST WITH STORAGE, STORAGE POCKETS IN REAR OF FRONT SEATS, STORAGE NETS IN ROOF, 3X3 POINT REAR SEAT BELTS, 60/40 SPLIT FOLDING REAR SEATS, REAR HEADRESTS, REAR ARMREST, LOCKABLE COMPARTMENT IN BOOT FLOOR, ALLOY WHEELS, ROOF RAILS, FRONT FOG LIGHTS, REMOTE LOCKING & ALARM. Please Note: For Further Information Please Contact Us On 01384 429630 Or 07825 137260. Finance Available With Upto 5 Years To Pay. The Vehicle Is Supplied With A 12 Months Parts & Labour Warranty With Nationwide Coverage & Unlimited Mileage, Extendable If Required. Free 12 Months AA Breakdown Cover. Any Trial Or Inspection Welcome. Viewing By Appointment. Please Call For More Details. Open 7 Days Til Late. Part Exchange Welcome, Please Contact To Agree Value. All Vehicles Are HPI Checked. All Major Credit & Debit Cards. We Are Located 5 Minutes From The Merry Hill Shopping Centre At Cradley Heath, West Midlands, B64 7AA. 10 Minutes From Junction 2,3 & 4 Of The M5. We Can Tax Your Car Ready For Collection If Required. Please Check Our Customer Reviews And Buy With Confidence, We Have Been Selling Cars For Over 20 Years & Customer Satisfaction Is Paramount. We Can Arrange Pick Up From Cradley Heath Train Station Which Is A 20 Minute Journey From Moor Street Station, Birmingham. Delivery Can Be Arranged, Please Enquire For Price.